Looking for environmental compliance help? 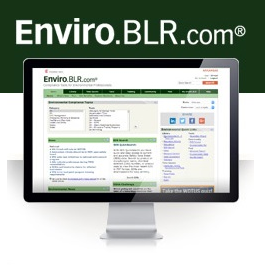 You need the BLR environmental management online compliance portal... This tool puts practical RCRA, CAA, CWA, hazardous waste regulatory analysis and activity, news, and compliance tools at your fingertips. With instant access, 24/7, your expensive calls to lawyers and consultants, and the risk of costly mistakes from "not knowing," are a thing of the past. 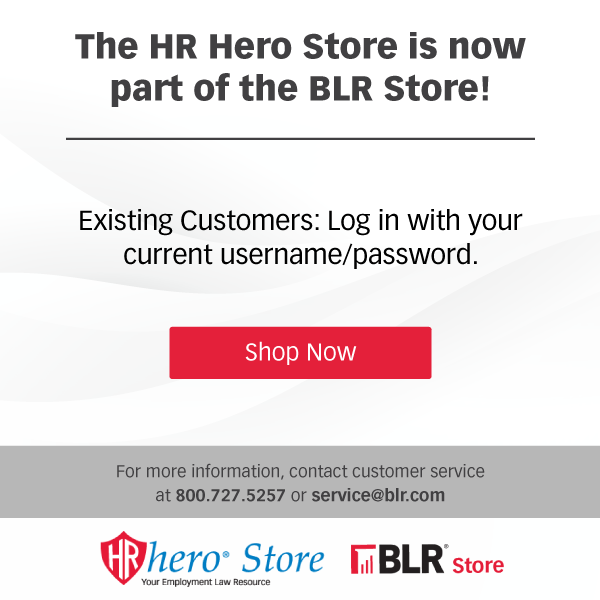 Just call 1-800-727-5257 or click here and one of BLR's walkthrough specialists will give you a hands-on, no hassle tour. Take a look! Visit the website to find out more about a subscription to Enviro.BLR.com! A basic subscription includes detailed environmental information and tools on federal EPA with 1 state, - all 50 states are available you can select as many states are you need (special pricing for multiple states). Also available "enhanced" version of the Environmental portal WITH full text regulations see format options to the right. Relax. Our editors guarantee a personalized response to your questions within 3 business days. Order today... the online environmental compliance solution that takes the time and frustration out of managing federal and state EPA compliance! Pricing for Enviro.BLR.com is for internal organizational use only for one user and one state plus access to federal information. For custom pricing, additional users/states or to discuss external or third party use, please contact customer service at 800-727-5257. Please note that the listed price is for new subscribers only. GUARANTEE: Your 100% satisfaction is guaranteed. If for any reason you are not completely satisfied with Enviro.BLR.com, simply let us know within 90 days, and we will issue you a complete refund.